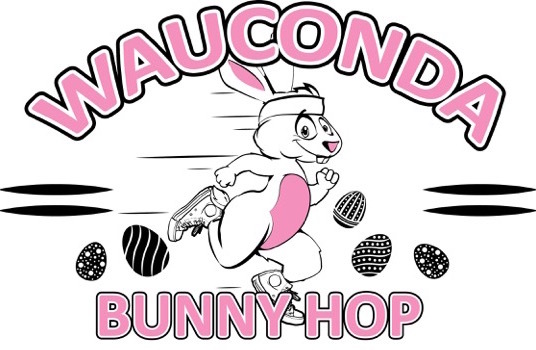 The 8th annual Bunny Hop will feature a 4-mile chip-timed route and a 2-mile fun run/walk that will start at 9:00 a.m.
All proceeds will benefit the Wauconda Township Historical Society, American Foundation for Suicide Prevention, and Wauconda High School Future Business Leaders of America. We look forward to seeing you on Easter Eve! so please arrive early and visit the registration table. Parking will be available across the street at Wauconda High School. To join us for the 8th annual Bunny Hop, click HERE to register! More information can also be found on our Facebook page.